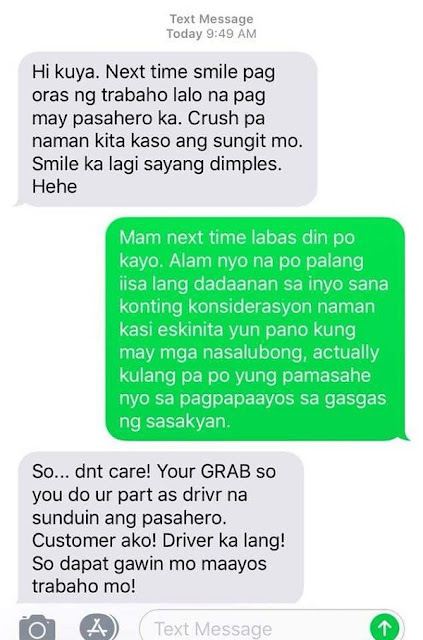 A passenger of the transportation service Grab recently went viral for her conversation with one of the drivers, wherein she degraded the latter for his profession. 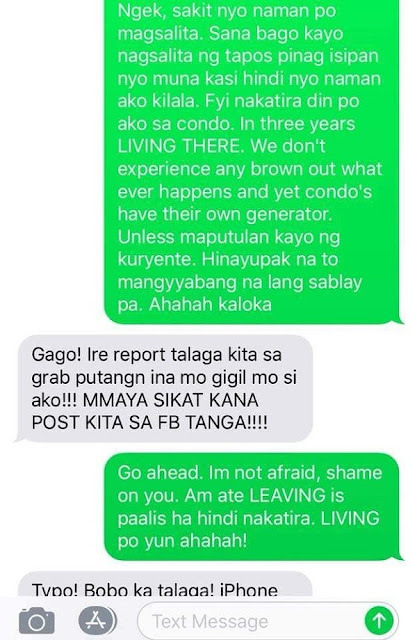 This was seen by the screen grabbed photos that Grab PH Stories shared on Facebook. The passenger apparently texted the Grab driver first , advising him to be friendly towards his passengers and said that she had a crush on him. 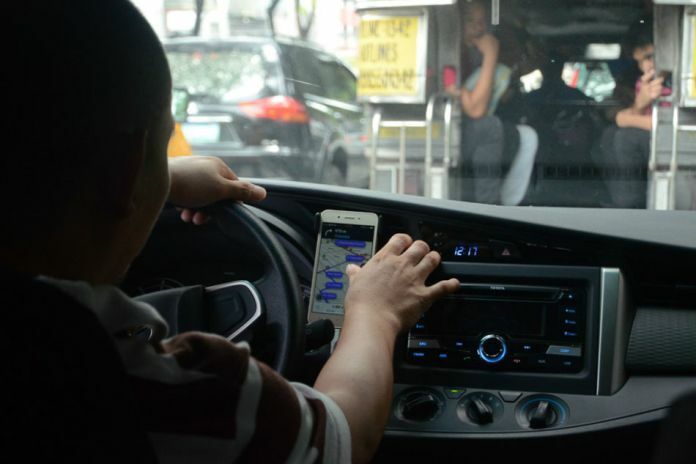 The driver then said that the passenger could offer him some consideration as she lived in what he called a narrow alley and passing through would scrath his car, adding that the scratches cost more money to be repaired than the passenger's payment. 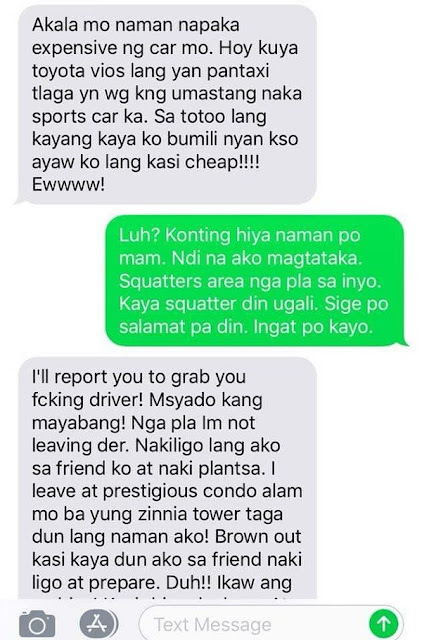 The passenger then erupted and acted out in rage towards the driver. Irritated, the driver said that the passenger came from the squatter's area, she said that she is actually rich and living in a condo. She said she was only in the area to take a bath and prepare for work at a friend’s house because they were experiencing a power outage at the condo. 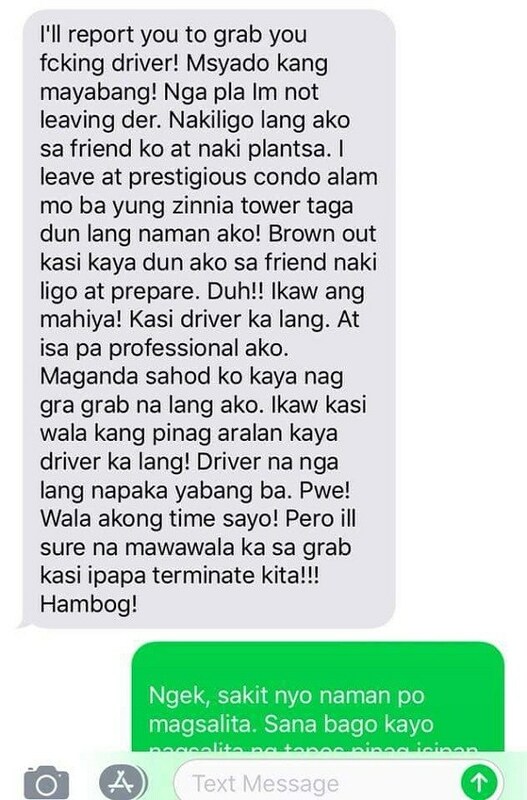 The driver laughed at the passenger, telling her he’s been residing at a condo for 3 years and they rarely have extended power outages because condos have generators. He also pointed out that the proper term in ‘living’, not ‘leaving’; however, the woman scoffed at this, blaming auto-correct on her iPhone. She further insulted the driver in her additional messages. 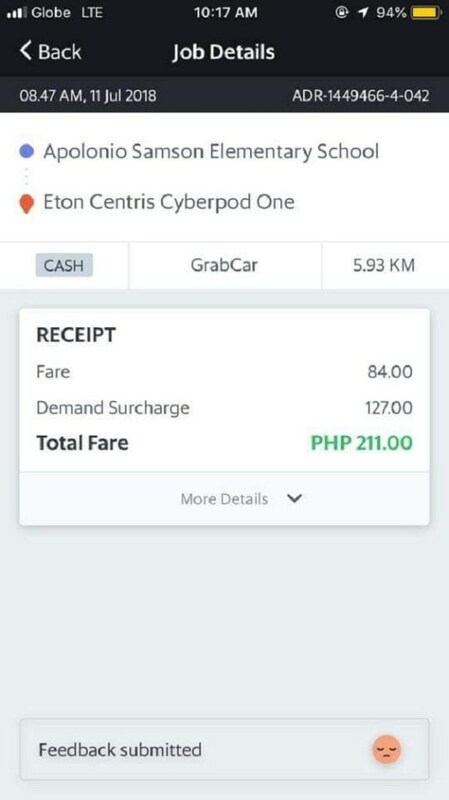 The conversation got a lot of negative reactions from netizens. 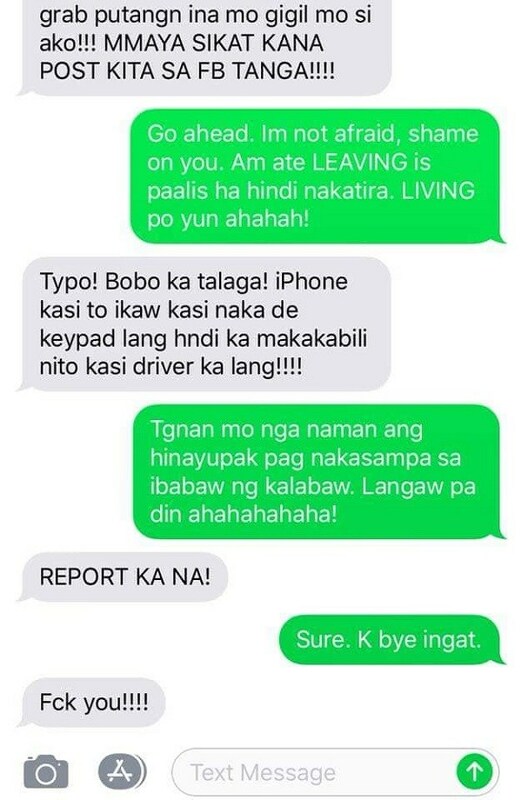 "Kaloka si ate porke nkagrab feeling rickkid wannabe na. Pinoy nga nmn. adjust2 din pag mi time," said a Soledad Xtine. The post has garnered over 27,000 likes and over 13,000 shares.